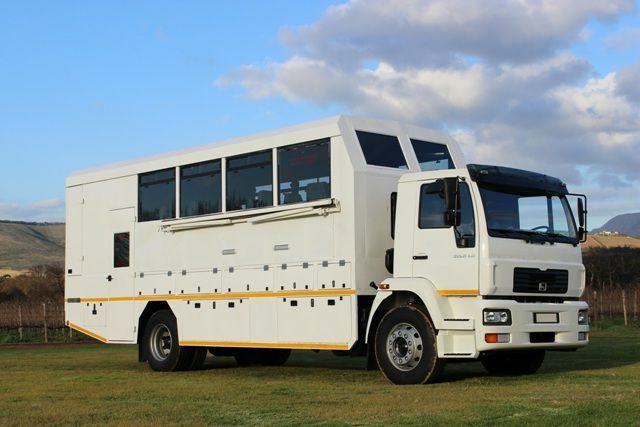 These examples below will give you a better idea of what an overland truck looks like. 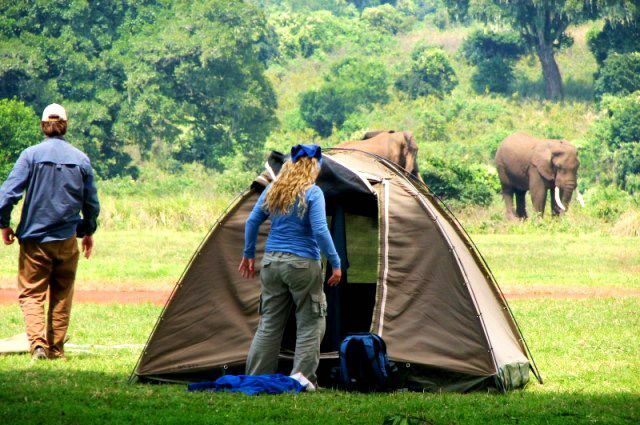 The images will show you some of the Safari Tents we use on our camping tours and some Hotel/ Lodges we use during our accommodated tours. 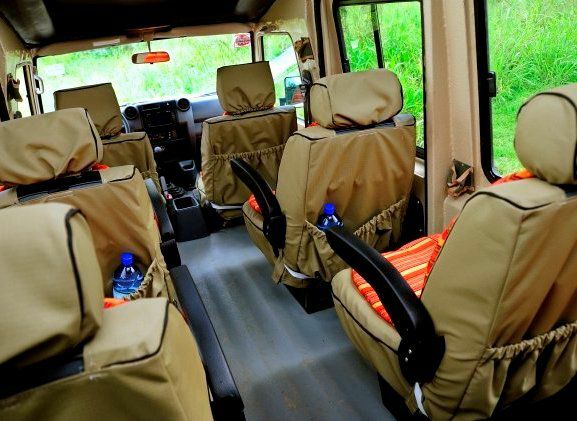 The 4x4 Safari vehicles are also used on many of our tours. An overland truck is big and strong- designed to take on whatever Africa can throw at them. 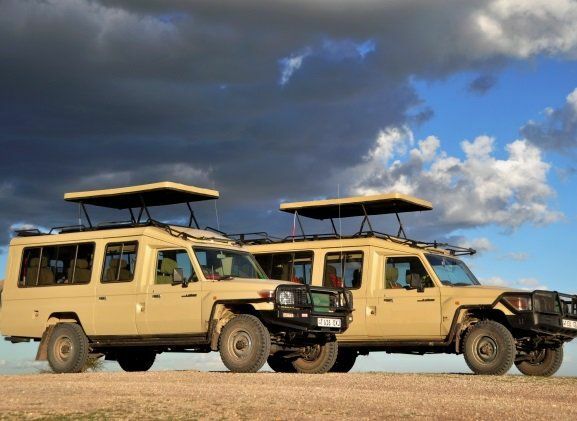 The overland trucks are high off the ground with big windows that can slide open all the way- which makes them perfect for a Safari and enjoying Africa’s most spectacular landscapes. Group sizes: Some overland trucks can carry up to 24 clients even though some of our tours are actually limited to a maximum of 17 clients. 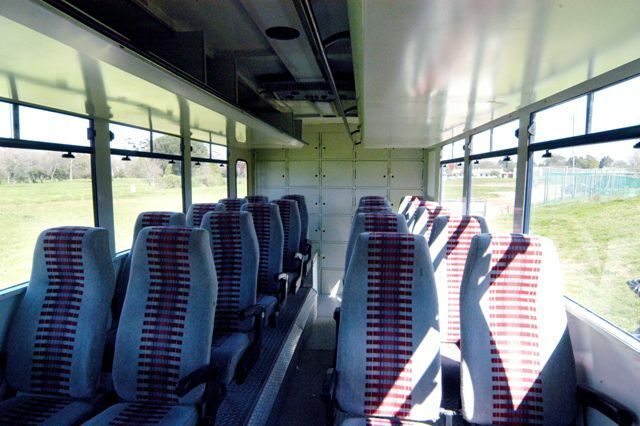 On selected departure dates the maximum number of clients is only 12… which gives you even more space to move around. They carry all the tents, sleeping mats, pots and pans and all the luggage and lots of fresh water… one of the best ways to travel around Africa! Luggage: Please keep in mind that our tours are of an adventurous nature and you will be travelling in an overland truck/ adventure vehicle and luggage should NOT include any hard cover “Samsonite” style suitcases. Most of the trucks have lockers for the luggage. Locker sizes: 70cm deep x 40cm wide x 38cm high. Only a soft bag will fit in these lockers. A suitcase is far more difficult to store and to make secure in our vehicles and this is part of the reason we ask for a soft cover bag/ sports bag/ backpack or tote bag to be used as your luggage. The other reason is that you need to walk from the truck to the accommodation and this is often over sand or uneven terrain. If you can’t carry your own bag, it is too heavy! Please note: If you bring a suitcase it might be left behind or you may be charged a fee to carry it if it does not fit into your locker. 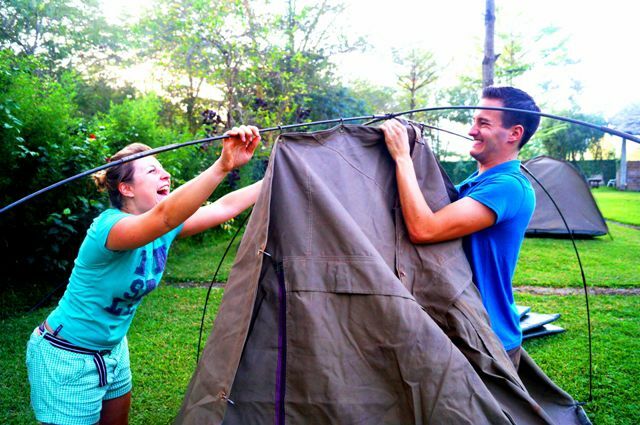 We provide two man dome tents and camping mattresses on our Camping tours… you just have to bring your own sleeping bag. Two clients of the same gender will share a tent, even though the tents are big enough for 3 clients. Most clients share a tent, but if you prefer to have you own tent, there is a single supplement option on most tours. 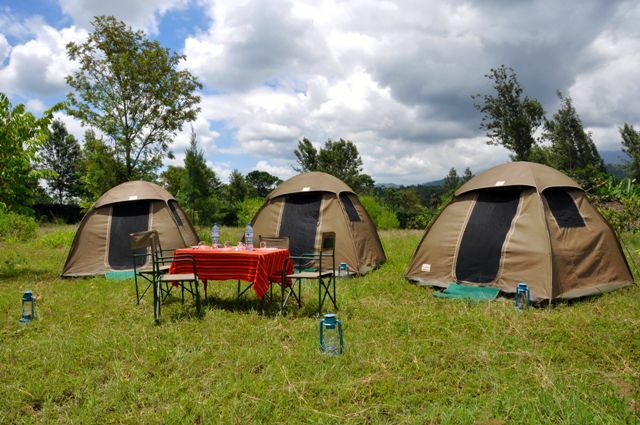 These Safari Tents come with built in mosquito nets and will keep any bugs out. They are water repellent and they are super easy to put up and break down. On day one of the tour the guides will show you how it’s done… it takes only 5 minutes to pitch a tent… even if you have never done it before. Tent size: The average tent is 2.4 m long x 2.4 m wide x 1.9 m high (7.8 ft x 7.8 ft x 6.2 ft). First things first: Our Hotel and Lodges tours should be seen as an upgrade from the camping tours. The style of accommodation varies from budget hotels, lodges, chalets, bungalows, traditional huts and sometimes permanent safari tents. 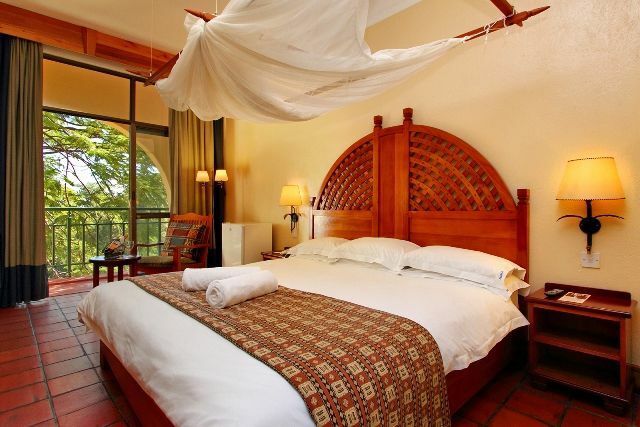 In Southern Africa all the accommodation used has bedding and towels provided. 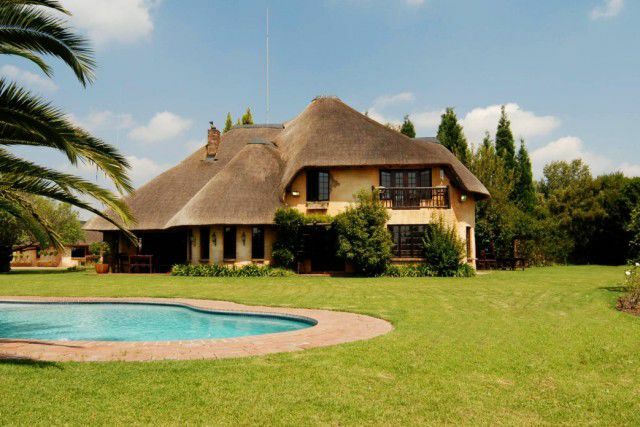 All accommodation is 2 per room, and most of them offer en-suite facilities. Clients travelling alone have to pay the extra single supplement, but this will assure a private room throughout the tour. 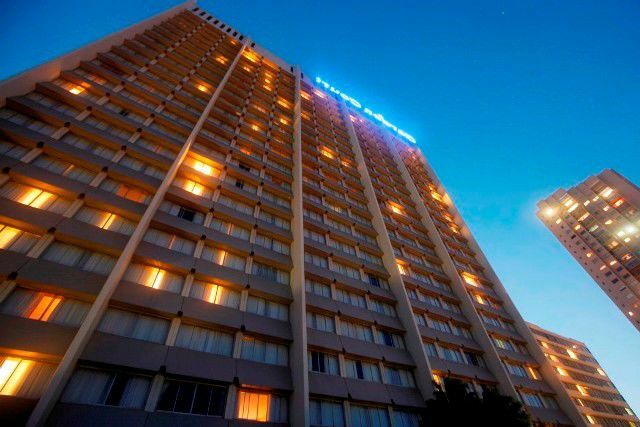 In East Africa the accommodation options can be less reliable and are generally a little more basic than in Southern Africa. As bedding is not always provided you need to bring a towel and sleeping bag on these tours. 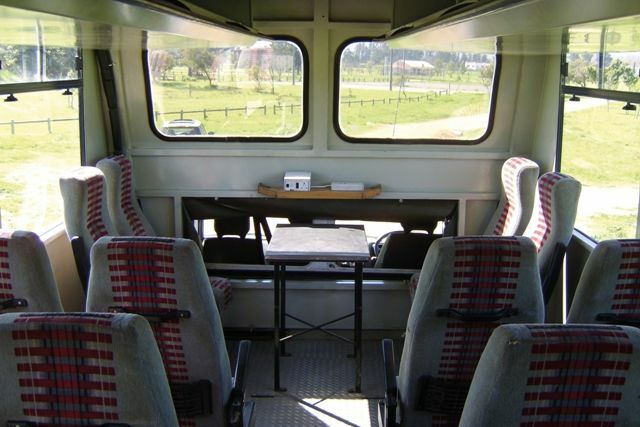 Please note: Most of our tours are run as a combination of the Camping and the Hotel and Lodge tour. This means that there will be camping clients and accommodated clients on the same tour, with the only big difference being that the campers camp at night and those who booked the hotel and lodge tour will have a bed inside the lodge/ hotel etc. for the night. Everyone stays in the same general area, with the rooms only a short walk from the campsite. 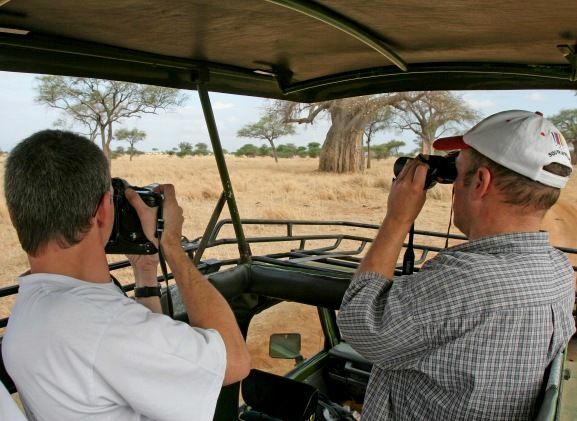 During some of our tours we use 4×4 safari vehicles. In Tanzania, Land Cruisers are very popular and in Kenya you will find lots of 4×4 mini busses. The roads inside the national parks in East Africa are not always that great and it is therefore better to use a 4×4 to get around. In some cases you can also get closer to the animals when you are in the smaller vehicles.